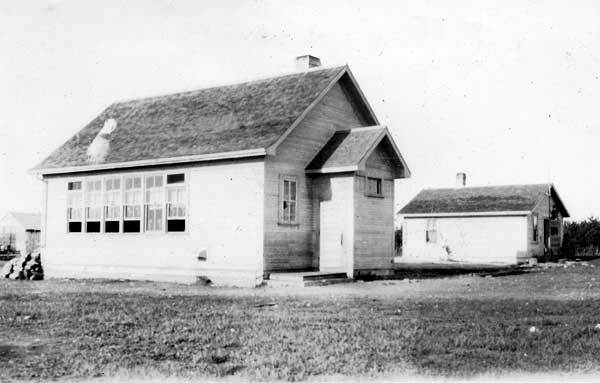 The Iris School District operated a one-room schoolhouse at this site in the Rural Municipality of Alonsa from 1918 to 1962. The former school building is no longer present at the site. 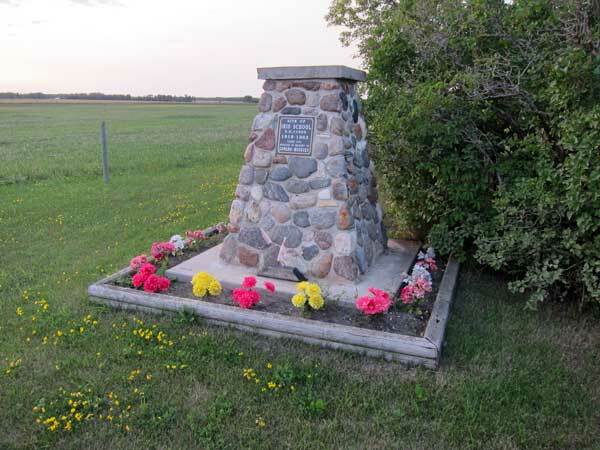 A monument erected in 1993 commemorates the school and local resident Edward Mozdzen. Among the teachers of Iris School were Miss M. H. Bone (1918-1919), Henry B. Bees (1920), H. G. Mingay (1920-1921, also Night School), Miss L. Jean Mason (1922), D. Fyles (1922), Mrs. Edith Alywin (1923), E. L. Strachan (1923), Miss M. M. Blowers (1924), L. Caners (1924), Mrs. S. L. Campbell (1924), Robert Halloway (1924-1925), Mrs. Willard Waldon (1925), Grace L. Dolmage (1926, daughter of John Dolmage), Margaret Black (1926), Dorothy Eleanor Hartley (1939-1940), Anna Dill Carson (1940-1948), Lena Gordon (1948-1949), Miss A. Pasosky (1949-1950), Mrs. Stone Turko (1950), William Peter Christie (1950-1951), John Fostey (1951-1952), Dorothy O. Sellman (1952-1954), Mary Elizabeth Armit (1954-1956, 1959-1962), Eileen LaRocque (1956-1958), and Alice Ruth Adeline Napper (1958-1959). GR8461, A0233, C131-3, page 60. Departmentally appointed school trustee files (E 0034), Iris School District #1920 - Cash Book, GR1629, Archives of Manitoba.